Real estate is one of the most profitable investments that has a high potential for success. The investment, however, must be done correctly. Experts and operators in this line of business have often stated that investment in real estate comes with many advantages. They also noted that investors could enjoy a steady income flow that might lead to financial freedom when their investments blossom. According to experts, the benefits of investing in real estate are enormous, as they noted that majority of people invest in this line of business for the steady flow of cash. They added that most real estate investors earn steady revenue that comes in the form of rental income. Operators in the housing sector stated that depending on the location, the investor could be earning significant income to cover his expenses and make extra money on the side. Experts explained that investors in urban cities or towns with colleges and universities tend to reap higher income because the demand for houses was always high in those locations. They noted that if a real estate investor chose the location of his property wisely, he could secure a steady flow of income for a long time and even save for retirement. Operators advised investors in real estate not to stop at investing in one property at a time. They stated that the investor could invest in multiple rental properties simultaneously in order to increase his cash flow and diversify his real estate investment portfolio. The Managing Director/Chief Executive Officer, Federal Housing Authority, Prof. Mohammed Al-Amin, during an interview with our correspondent in Abuja, advised that big real estate investors could manage their investments by hiring a property management professional if the workload became too much on the investor. Talking about another benefit of investing in real estate could offer, experts added that it could also provide investors with long term financial security. They explained that when an investor has a steady flow of cash in succession, the benefits of such investment brings financial rewards for a long period. They stated that owning a rental property could afford the investor a sense of security. This, according to experts, is because most real estate appreciate in value over time. They noted that land and buildings were appreciating assets, but stressed that there was no guarantee that the value of a property would increase indefinitely. They stated that this was another reason why investors should thoroughly research the location before closing the deal on the property to invest in. On the need to consider the location, Al-Amin explained Nigerians often look for three major things in relation to the Federal Housing Authority with respect to investing in real estate. “Principally, what they look from us is to acquire a house. Secondly is the issue of land, either annexation of the next plot, if it is available, or allocation of a vacant plot if it is also available,” he said. He noted that majorly, the cartels and people that cheat Nigerians go into these things and might ask investors to bring money on the grounds that there were houses to be sold out by the FHA. “Or they may say bring your money, we have a plot that is going to be allocated to you by the FHA. Or if you are looking for permission to remodel your house, to do extension or to change the use from residential to other uses, they will say bring us your money and we will do it,” he added. Al-Amin, however, stated that what “we’ve kept telling Nigerians is that they should not interact with anybody who is not a staff of the FHA. And even if he is a staff of the FHA, ask him if he is from the estate department. Experts further stated that the benefits of investing in real estate include the investor’s tenants as well. They said that the rental income which the investor received each month could be enough to cover his or her expenses, including part of his mortgage payments, if any. They stated that in situations like this, the investor’s tenants were actually the ones paying the mortgage. Operators also observed that real estate could not be a short term investment plan. They noted that on the contrary, the benefits of investing in real estate include the appreciation of capital assets like land over time. They stated that another benefit of investing in real estate was that it guaranteed a hedge against inflation. 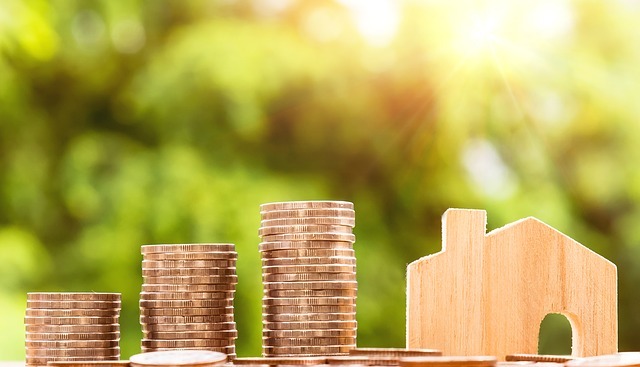 According to experts, high inflation significantly increases the value of a property, adding that real estate investors welcome inflation because it increases their cash flow.